The new Airbus H145M platform conducted its firing campaign in Sweden. Airbus Helicopters demonstrated the ability to fire laser guided rockets (FZ275 LGR from Thales) with its new H145M platform. In the first weeks of December 2017, Airbus Helicopters demonstrated the ability to fire laser guided rockets (FZ275 LGR from Thales) with its new H145M platform at the Älvdalen test range of the Swedish Defence Materiel Administration Flight test Centre. 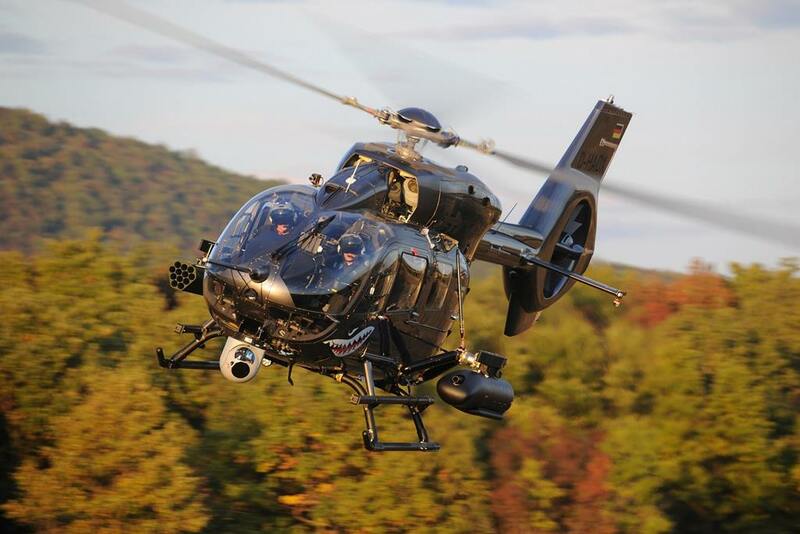 Following the success of the ballistic firing tests, held in Hungary in October 2017 (see the video below), the achievement of this new milestone with laser guided rockets is in continuity of Airbus Helicopters’ HForce development strategy to boost the H145M mission capability.